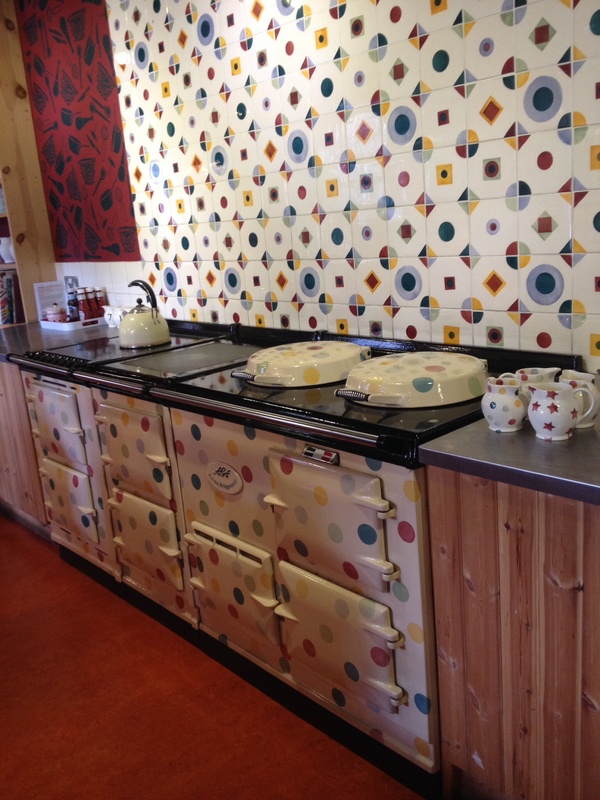 Now my daughter’s coming to the end of her (horrendous but now looking lovely) kitchen extension she’s beginning to do the nicer things – decorating, furniture and best of all new crockery to add to her Emma Bridgewater collection. We’re lucky to live within a shopping trip mileage of lots of china, pottery and glassware producers in the “Potteries” area of our adjacent county Staffordshire. Wedgewood, Royal Doulton and Emma Bridgewater to name a few. These factories all have factory shops and if you can spare the time to go through the piles of seconds you can get some near perfect bargains compared to the high street prices. 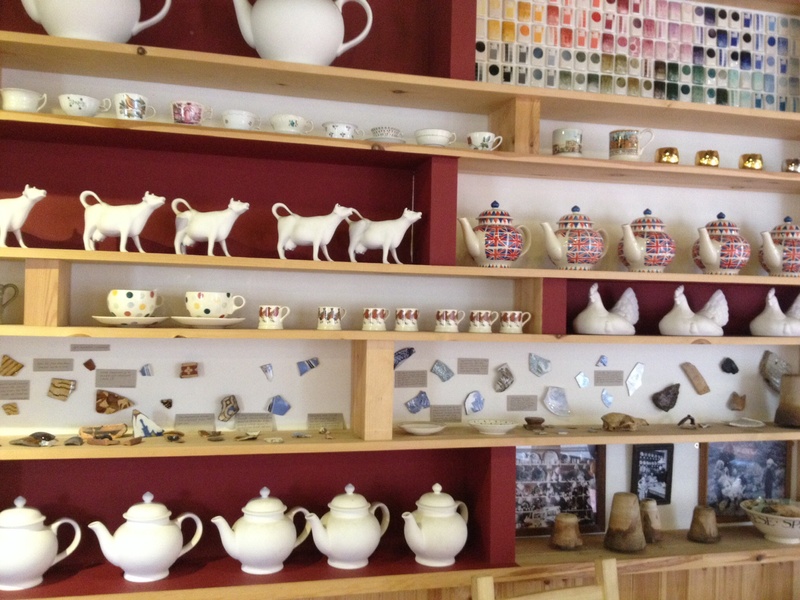 The Emma Bridgewater factory also offer tours following the process from start to finish and you can pre book these before you go so you’re not disappointed as they do get booked up sometimes. More details here Factory Tours. We had a surprise during our trip today as Jason Donovan was visiting with his wife – he’s currently touring with the musical Annie Get Your Gun – and the factory girls were so excited to meet him. There is a nice cafe on site, the factory tour, factory shop and a gift shop too. We managed to get a nice selection of Pasta Bowls, Cereal Bowls and mugs to add to her plates. 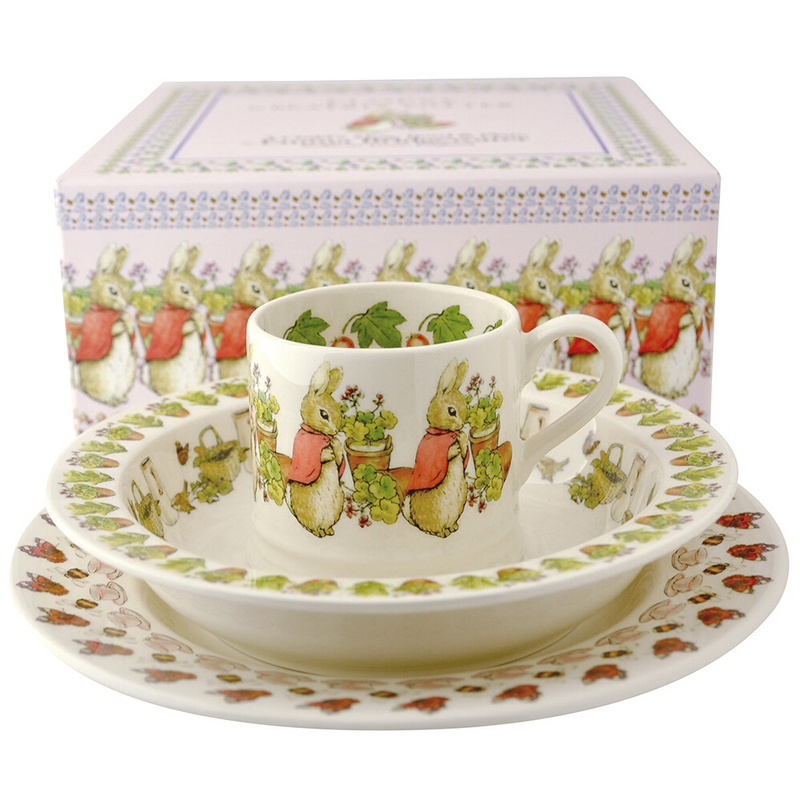 Let’s hope the grandchildren like their Peter Rabbit and Flopsy Bunny sets too! The staff are all very friendly and helpful and we left our purchases in the shop while we went for lunch. Details of how to find the factory are here – opening times and directions. ← QUICK & TASTY TOMATO SOUP!